Do you have a child who is a nature-lover? Someone who loves flowers, enjoys playing with insects and pointing out different species of birds to you each time? Then, you might want to enrol them to be Garden Troopers at Gardens By The Bay during the upcoming school holiday. From bird and insect watching to creating one’s very own nature journal, your child will get a taste of what it is like to be nature’s Sherlock Holmes for a day, as he/she discovers the intricate link between plants and animals. If nothing else, it is a good hands-on revision on these science topics: living things and diversity. They have two programmes: My Outdoor Adventures (suitable for kids aged 10 to 12 years old) AND Green Encounters, more for kids aged 7 to 9 years old. My daughter joined their Outdoor Adventures workshop during the recent June school holidays. I will share her experiences later in the post. As for the Green Encounters, the younger kids will take on the role of a junior horticulturist where they will embark on an exciting botanical scavenger hunt and create a mini air-plant garden of their own to take home. Sounds like so much FUN right?! This is only for one day (25 November), 9am to 3:30pm at $80 per child ($60 if you are friends of Gardens by the Bay). This is a two-day programme. 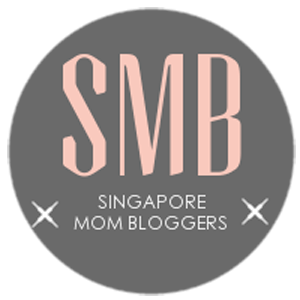 Initially, I was concerned that two full days (from 9am – 5:30pm) might be a bit too much for her, but after tagging along the first day, I can understand that two full days were needed to fully cover the topics without the kids feeling too rushed or overwhelmed. Do arrive early to allow time for a leisurely walk to the Cannonball Room where you can drop off or pick up the kids. Meals (lunch and two tea-breaks) are provided during the two days. The morning of the first day was spent playing ice-breaker games, warming the kids up to one another and introducing them to the JC students who were on site to be their mentors during the two days. Here is a photo of my daughter in the middle with her two new friends (coincidentally all three girls attend the same school) and their two mentors (in the back). After a quick morning tea break, the garden troopers headed over to the Flower Dome to learn interesting facts about some of the key plant families at the Gardens. The facilitator or “teacher” was able to clearly explain and introduce the names and characteristics of the different flora and fauna. I highly recommended this session if you have a child who is an auditory and kinesthetic learner (like my daughter)! The opportunity to see the subject discussed “live” gives the lesson more value than a normal classroom lecture. After a brief introduction, the kids are given tasks or assignments. They can work in groups or alone, and the mentors assigned to their group will tail and guide the kids along. Kids are also encouraged to ask questions along the way and clarify any thoughts they may have. The Flower Dome was celebrating Lilytopia during the June school holidays with a stunning display of more than 50 varieties of lilies along a charming hippie campervan and guitar. How could we resist taking pictures of the beautiful lilies? Currently, their theme is “Tribal Tempo” which marks the first large-scale South African floral display in Singapore. Join us on a safari tour across the colourful landscape of South Africa (till 30 Oct 2016). The Flower Dome is open from 9am – 9pm. Then we headed to the Cloud Forest to learn about the plants from a cooler climate. We have not been to the Cloud Forest before so this was a real treat. Admissions to Flower Dome and Cloud Forest are included in the package. After a relaxing lunch, the kids gathered for a brief powerpoint presentation of insects. Some of the insects were readily kept in a jar for closer inspection. Then the kids got ready to head out to the Fragile Forest & Wild Flower Field to look for butterflies and insects to learn about the special relationship between and the plants. Bring along hats, water bottles, sunglasses (if any) and insect repellents. It was a bit of a walk to the Fragile Forest (about 10 minutes). Our kids, used to being chauffeured around, began to complain about the heat and the distance. Our gardener-host (in long-sleeved green top) greeted us and showed us the plants that will attract butterflies and insects. Our junior horticulturists also had a chance to get their hands dirty and do a little planting of their own. She got to plant her own butterfly-attracting plant. Best of all, she got to bring home with the promise to water and care for it. Overall, I thought the kids were kept fully occupied with lots of hands-on activities and fun learning experiences. Also, they were very well looked-after by the mentors. For such programme, try to ensure your kids go with their friends. It will make the learning journey more enjoyable for them. As for my daughter, she really enjoyed herself and did not mind attending the next day’s programme on her own. I take that as a very good sign. And after lunch, the kids will stay in the cool Cannonball room to learn about Nature’s superheroes. After their tea break, they will utilize their newfound skills as Wildlife Adventurers and participate in a friendly competition. We enjoyed this experience so much we want to share it with you! TWO lucky readers will get to register their kids at the Garden Troopers Outdoor Adventures workshop at the special fee of $120 AND receive a pair of complimentary tickets to the Flower Dome with their registration. Giveaway STARTS on 28 September 2016 and ENDS 7 October 2016, Friday at 11.59PM. This promotion is kindly arranged and sponsored by Gardens By The Bay. The promotion is non-exchangeable and is also not redeemable for cash. The promotion is not valid with other promotions, discounts, offers, free gifts, privileges and vouchers at Gardens by the Bay. Each pair of complimentary tickets to the Flower Dome is valid for 30 days beginning 21 Nov 2016, and can be collected on the first day of the GARDEN TROOPERS – MY OUTDOOR ADVENTURES! Workshop on 21 Nov.
No refunds will be made by Gardens by the Bay for uncollected or unused tickets. Entry to the Flower Dome will be subject to the venue’s prevailing terms and conditions of entry. The resale of complimentary tickets at the same or any price is prohibited.Gardens by the Bay reserves the right to reject any tickets that have been resold and/or deny entry to holders of such tickets.